With an initial visit, we can put your mind at ease by giving you a general idea of what can be done, and what needs to be done first – no matter what you're dealing with and how overwhelming it seems. Using chemical and mechanical methods we choose discreet areas and expose original decoration, taking samples of all finish layers down to the substrate. With microscopic investigation under varying light sources we can identify original colors. We investigate church records, newspaper articles, and even wedding photos looking for images of the original interior to further support our findings. The report identifies original patterns, color schemes, finishes, and techniques. We assess the condition of fine art murals and define the proper conservation and cleaning approach for them. Observable surface conditions are also noted. 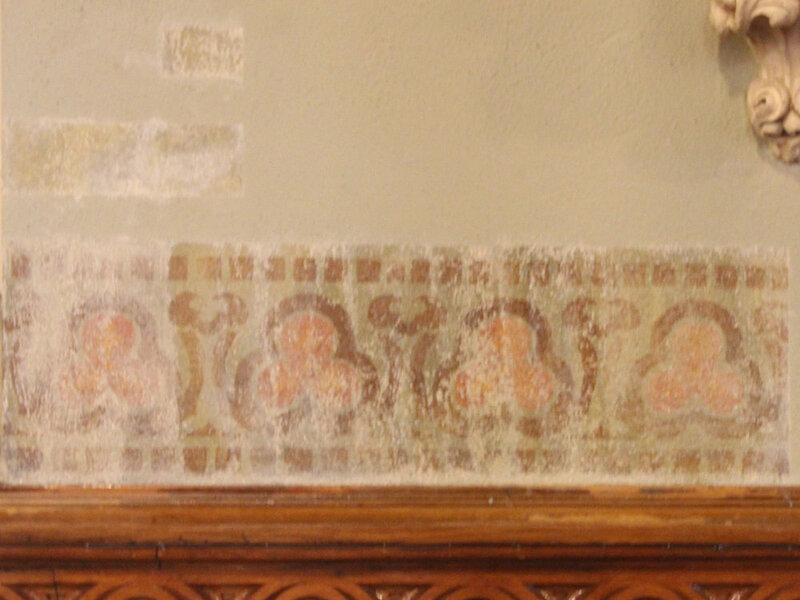 An historic paint analysis is usually done in combination with a plaster conditions survey. Together, they provide accurate information from which a restoration plan can be developed and budgeted.